Finding a parking space in busy downtown Pasadena is getting tougher, thanks to a program that sets aside once-public spots for Zipcar. Pasadena officials recently designated 18 spaces in the shopping district as "Zipcar Parking Only." Officials said it was done as a way to encourage car sharing. Zipcar, based in Boston, is a service that allows members to rent from its fleet of cars by the hour, day or month. Among the perks are priority parking spaces, where drivers can pick up and drop off their Zipcars in centralized locations. "The city of Pasadena is small, so you don't have a lot of free parking spaces," said Freddie Garcia, who has counted on finding a spot near Mentor and Green streets for the last 30 years. "I take it for granted that this is always two-hour parking." But for the past 10 months, the spaces Garcia once counted on are reserved for Zipcar, 24-7. It's part of a city plan aimed at reducing traffic and emissions. But Garcia takes issue with it. Zipcar is a subsidiary of the Avis-Budget Group, a publicly-held corporation. "This is taxpayer-paid-for streets, and I think [Zipcar] should have their own private space(s)," Garcia said, after getting a $46.90 ticket for parking in a Zipcar-designated spot. "If you let Avis Budget Group do this, then why not Enterprise and all these other car rental places?" 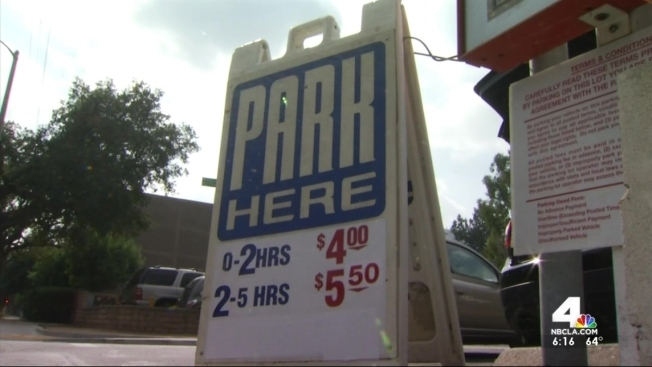 Pasadena transportation officials said they've received complaints about the loss of the public parking. "I've probably seen 50 to 70 tickets," said Colin Barnes, who works near the Zipcar spaces. "People don't notice the signs, unfortunately." Several cars have been towed from the spots as well. "It's curb management," Fred Dock, director of Pasadena's Transportation Department, told the I-Team. "It's something the city has the purview over. We try to be as equitable as possible with how we administer it." Dock is hopeful that the anger will subside. "It takes a while for the whole concept of car share ... to be taken up," he said. Jeff Shields, general manager of Zipcar Los Angeles, wants drivers to take the long view. "With Zipcar as an option," he said in a statement, "residents can reduce their car ownership, which helps reduce street congestion and actually frees up more spaces for those in need of parking." But the program is not set in stone. The Zipcar spots in question are part of an 18-month pilot program with the city of Pasadena, Shields said.